Western Digital has just made available a new power efficient and large storage capacity drive – the WD Green 4TB (WD40EZRX) 3.5-inch hard drive. The new WD Green 4TB, like its “Green” predecessors, is design for desktop PC that needs energy-efficient or low power consumption storage solution but offers a high capacity storage option. The WD Green 4TB features SATA 6Gbps interface with IntelliPower with 64MB cache and yields around 3.6TB of usable capacity under a Windows NTFS file system. 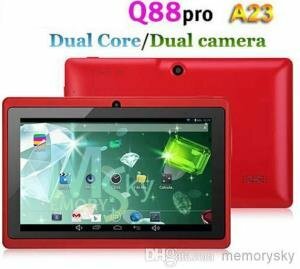 Check out is features, specs, price and where to buy below. Cool and quiet -WD GreenPower Technology yields lower operating temperatures for increased reliability and low acoustics, perfect for ultra-quiet PCs and external drives. Reduced power consumption -Best-in-class power management technology delivers significant power savings and solid performance. Innovative design -WD Green drives are innovatively designed and manufactured with lead-free, conflict-free and halogen-free materials. IntelliSeek -Calculates optimum seek speeds to lower power consumption, noise and vibration. NoTouch Ramp Load technology -The recording head never touches the disk media ensuring significantly less wear to the recording head and media as well as better drive protection in transit. Like modern day storage drive, the WD Green 4TB features SATA 6Gb/s interface, but it’s not as fast as the WD Blue or Black drives. It only has a variable sub-6,000 RPM spindle speeds with 64MB cache. The drive consumes around 3.3W when spinning and idling, and goes up to 4.5W under stress; and it only consumes around 0.40W when in standby or sleep mode. The WD Green 4TB is best used as a storage drive. If you have a large collection of mp3 files, pictures or movies with large file sizes, then you can safely store them in this drive. The WD Green is not intended to be used as an operating system drive or a drive where you install and work with your software and applications. The WD Green 4TB WD40EZRX is available now for only $189.99 here, and includes a 2 year limited warranty. WD Black 4TB 7200RPM 64MB (best for Desktop PC) – only $282.67 with free shipping here. WD Se 4TB 7200RPM 64MB (best for Datacenter Storage) – only $279.99 with free shipping here. 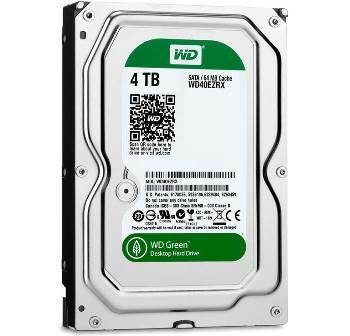 WD RE 4TB 72000RPM 64MB (best for Enterprise and Business) – only $377.86 with free shipping here. WD Red 4TB NAS Drive with WD NASWare (best for NAS Solutions) – only $202.99 with free shipping here. Note: Prices are subject to change. Prices might have gone down by the time you visited this page.